As a business owner, finance will be amongst your top priorities. A successful photography business needs some money to get it off the ground, and some cash to keep it running – and that can be hard to come by. The days of going to the bank manager and asking for a loan are not over, but they are certainly less rosy than previously. It is becoming increasingly difficult for small business owners to get credit from banks – and, as a result, many are turning to alternative sources of finance to get their business going. The banks are not the only option if you are looking for business finance. There is a range of other potential avenues through which your small photography business could potentially get the cash its needs – but you need to understand the nature of the alternatives, and their potential impact for your business, before finding the right one for you. What’s wrong with the banks? The major banks remain the go-to place for many businesses in need of finance. This is unsurprising; the banks are, apparently, there to lend money. But the so-called ‘credit crunch’, and the new financial environment that has ensued, have meant that it is increasingly difficult for businesses to borrow money affordably from the banks. Even large, perfectly viable businesses are finding it impossible to persuade the banks to lend to them – and many are therefore looking elsewhere. That is not to say that it is impossible to get a loan. Depending on your relationship with your bank (and who you bank with), you may be able to get credit. But if you can’t, where else should you be looking? Friends and family are the first port of call for many business owners in need of finance. Indeed, many of the world’s largest businesses were started with a bit of cash from people close to the entrepreneur. If you need some cash to get your photography business off the ground, consider speaking to family and close friends. Remember, though, that this is a business arrangement. As counterintuitive as it might seem, it is important that you have some form of written agreement in order to ensure that all the parties understand what they are doing. Make sure that you set out exactly how much is being lent, and on what terms. Will the lender receive a stake in the business? Or will they have their money paid back by a certain date? Will interest be paid? By getting these important things straight to begin with, you can ensure that you avoid arguments later on. 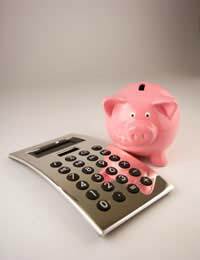 Personal savings are also an important potential avenue for business finance. Indeed, if you intend to apply for a loan from the bank, they will want to know that you are also prepared to risk some of your own money. You should remember, though, that you should only invest what you are prepared to lose. Starting and running a business is a risky proposition, and you should always have that risk at the forefront of your mind. So-called ‘business angels’ have become increasingly popular in recent years. The term is used to describe private individuals or groups who invest in businesses, normally in exchange for equity. Business angels tend to invest in high growth firms in their early stages, but with some proven track record. Angel finance is incredibly competitive, and you will therefore need to demonstrate why your business is unique, viable, and investment-worthy. Part of this will involve persuading the investors that the management structures already in place are sufficient, and that you have the necessary knowledge and expertise to take the firm forward. You might also hear about ‘venture capitalists’ or VCs. These are terms usually reserved for those who invest larger sums of money, in businesses with longer track records. If you are starting up and you have a great idea for a photography business, a business angel will probably be a better option. Finally, it is worth noting that an increasing number of business owners are choosing to finance their ventures through personal debt. This is a direct result of the downturn, and of the difficulty associated with securing bank finance. It is important to understand the potential dangers associated with financing your business through personal debt. If the business fails, you will lose your investment. Even if you set up a limited company, you will still be liable for the money you put in. Furthermore, you should note that many businesses do not make a profit at all in their early stages. If you do decide to use personal debt (something which is generally not recommended), then you should make absolutely sure that you will be able to make the repayments.